“Strikeforce: Melendez vs. Healy” takes place September 29th inside Power Balance Pavilion in Sacramento, California. UFC Fight Club members have the opportunity to purchase seats for the show today from 10AM PT until 12PM PT. The general public will have access to the remains on Saturday, July 28th at 10AM PT via Ticketmaster. Ticket prices range between $40-$125. 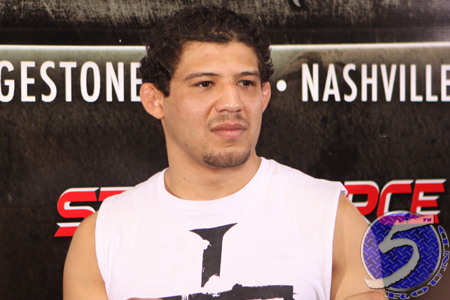 A lightweight title affair between champion Gilbert Melendez (Pictured) and Pat Healy headlines the bash. It’s the only scrap that has been announced for the lineup thus far. Heavyweight Grand Prix champ Daniel Cormier was expected to co-headline opposite Frank Mir, but the 265-pound contest has been pushed back to a yet-to-be announced October/November event. Showtime will broadcast the main card beginning at 10PM ET/PT.